Enjoy the powerful healing energy of quartz which also amplifies energy & raises spiritual vibration. The Clear Quartz is set on an ocean blue background in an ornate pewter charm, which is plated in .999 fine silver. The crystal charm is 15mm diameter. The vegan pendant cord with a clasp is 42cm long. Choose from tan or natural cord. The crystal charm is 15mm diameter & hangs about 5cm long including the inspirational feather charm to encourage you to express the real you. The vegan pendant cord with a clasp is 42cm long. Choose from tan or natural cord. Enjoy the powerful healing energy of quartz which also amplifies energy & raises spiritual vibration. 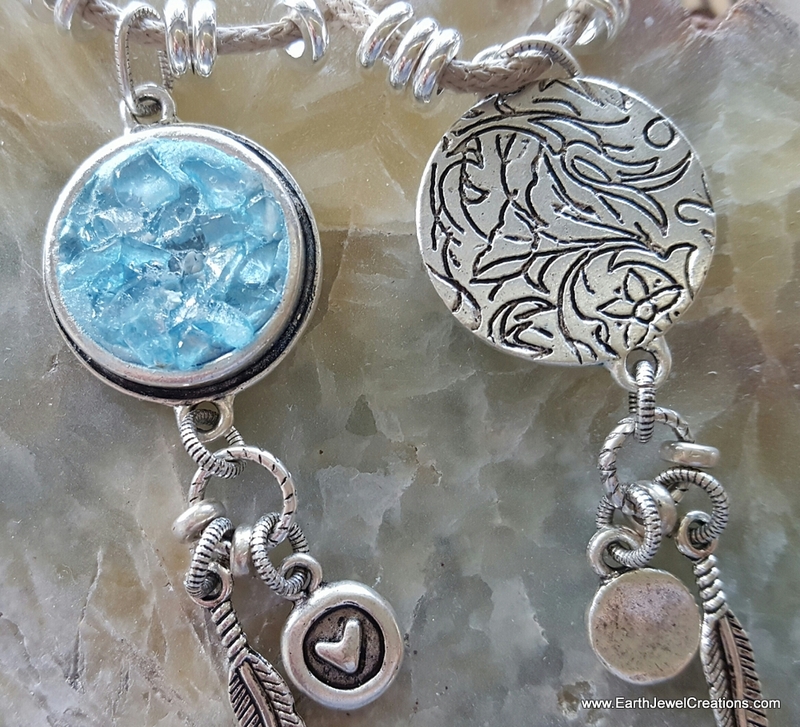 The Clear Quartz is set on an ocean blue background in an ornate pewter charm, which is plated in .999 fine silver. 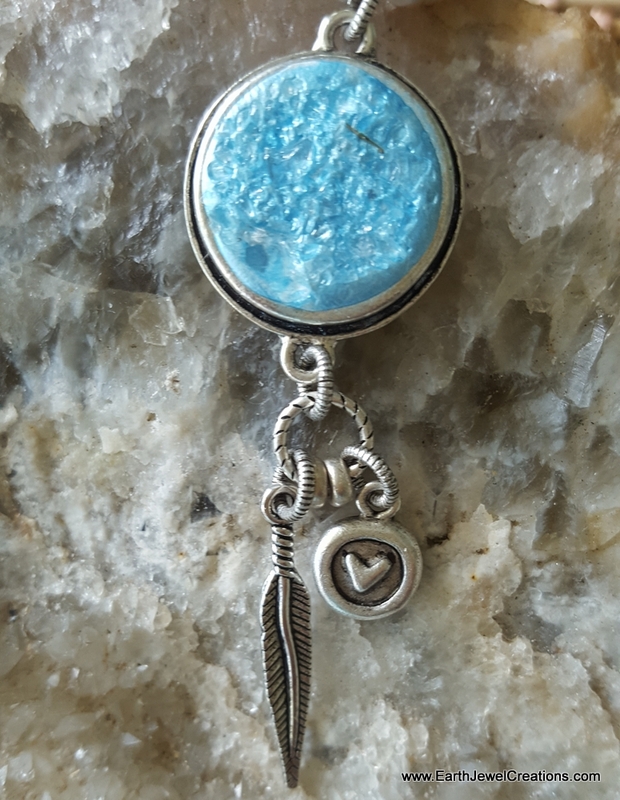 The crystal charm is 22mm diameter & hangs about 7cm long including the inspirational feather charm to encourage you to feel free to express the real you. The vegan pendant cord is 90cm long & the length can be adjusted to suit. 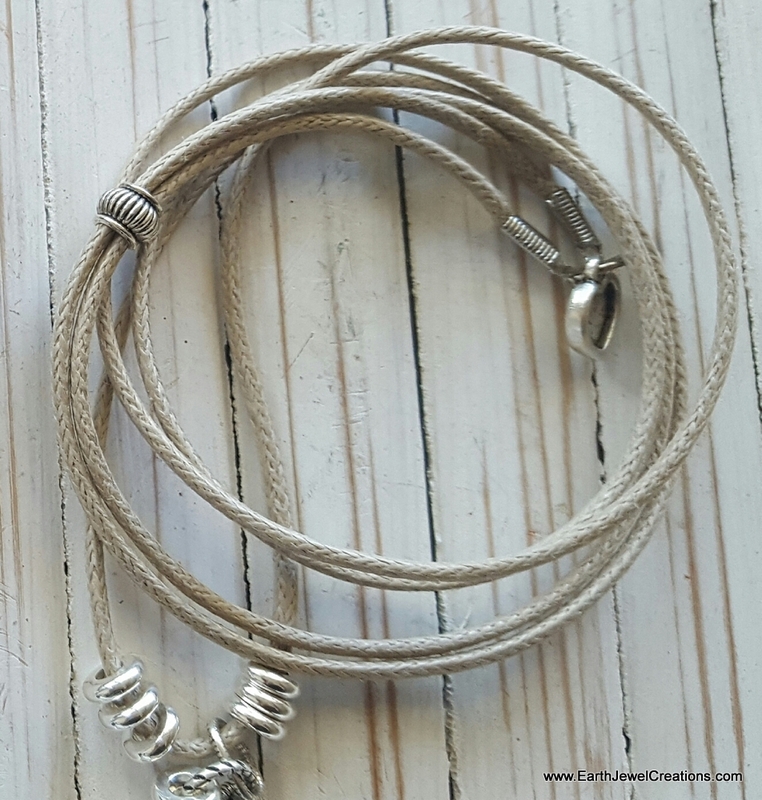 Choose from natural or tan cord. Enjoy the synergy of words, crystals & symbols in this powerful design. The quartz crystals amplify the energy of the other elements to support & energize your intentions. 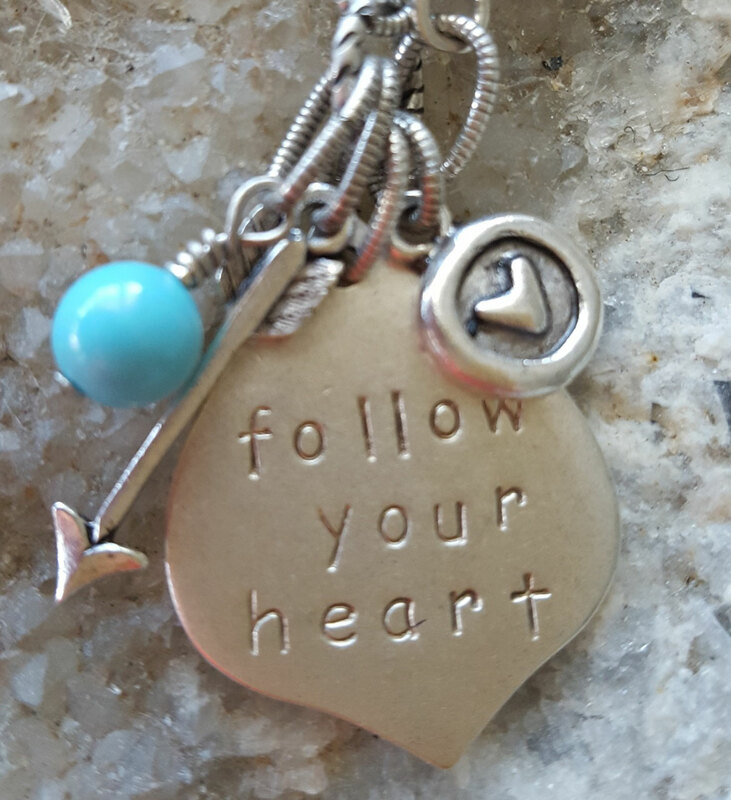 The marakesh sterling silver plated pewter charm is hand stamped with an affirmation of your choice, & also has a heart & arrow charm to remind you to Follow Your Heart. The adjustable vegan cord is 85cm long with a heart charm on the ends. Choose from tan or natural cord. Choose the affirmation words you'd like for your charm below. Enjoy the synergy of the turtle spiral energy & quartz crystal in this ocean inspired design. 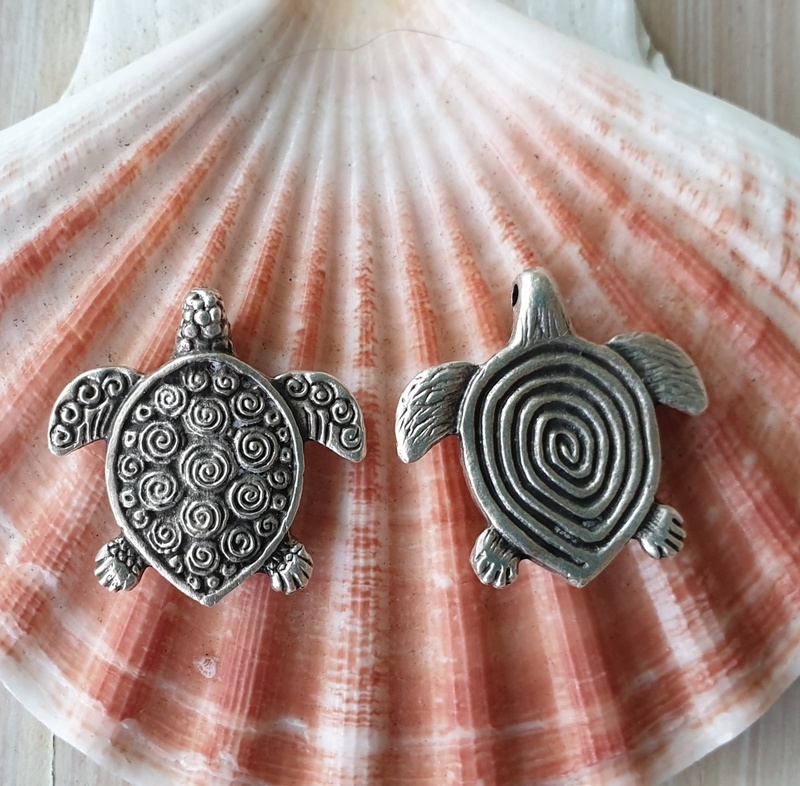 Turtles are the most amazing creatures, as they use the earth's magnetic grid to return to their place of birth to lay their eggs. The spiral of life is magic. 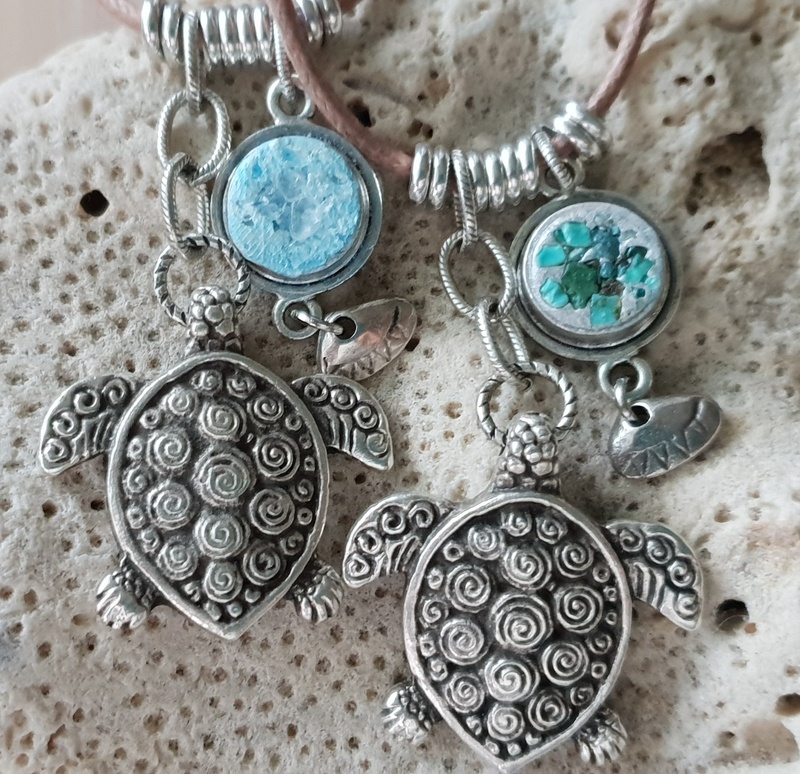 This design is also available with turquoise, as shown.